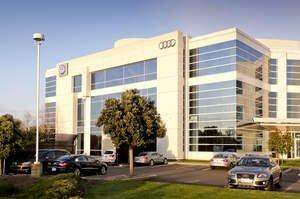 BELMONT, CA--(Marketwired - May 31, 2013) - Volkswagen Group of America (VWGoA) announced the expansion of its automotive research initiatives with the contribution of $1.7 million to Stanford University. The latest investment broadens an existing partnership as Volkswagen Group continues to explore the next frontier in automotive innovation. With this contribution, new research will begin in the areas of virtual intelligence, material research, data security, and vehicle dynamics. In addition to research projects, the contribution will go towards programs to help educate future engineers in computer science and electromechanical design giving them the tools to push the boundaries of automotive innovation. "For a decade, Volkswagen Group has worked tirelessly to redefine automotive research, collaborating to identify innovations that will help shape mobility technologies for years to come," said Dr. Peter Oel, Executive Director, Volkswagen Group Electronics Research Laboratory (ERL). "Through partnerships like the one with Stanford University, Volkswagen Group is actively investing in the future of automotive innovation, paving the way for the development of next-generation solutions that will transform the vehicles of tomorrow." Highlighting its commitment to the North American market, Volkswagen plans to invest more than $5 billion in North America over the next three years in new products, technologies and infrastructure aimed at helping the company reach its long-term goals for the region. In addition to the research partnership, Volkswagen Group announced the appointment of Prof. Dr. Martin Winterkorn, chairman of the board of management, Volkswagen, to Stanford Engineering's Advisory Board. As a member of the Stanford Advisory Board, Prof. Dr. Winterkorn will offer perspective from the vantage point of a leading global corporation on broad strategic issues facing the school, its programs, and resources. Volkswagen Group's latest contribution comes after an initial investment of $5.75 million in 2009 which supported the creation of the Volkswagen Automotive Innovation Laboratory (VAIL) located on the Stanford campus. Since 2009, VAIL has conducted numerous breakthrough research projects in several areas including autonomous transportation, vehicle dynamics, safety, and environmental performance. In 2005, Volkswagen Group partnered with Stanford to develop a fully autonomous Volkswagen Touareg (named "Stanley") for the DARPA (Defense Advanced Research Projects Agency) Grand Challenge competition, where the vehicle finished first. Two years later the collaboration continued with the creation of "Junior" (an autonomous Passat Wagon), which finished the 2007 DARPA Urban Challenge in second place. In 2009, the new VAIL facility opened its doors and Volkswagen Group and Stanford introduced an autonomous Audi TTS that was later credited with successfully completing the famed Pike's Peak course in Colorado. In addition to the monetary contribution, Volkswagen Group continues to provide resources, vehicles, technical expertise, and access to its Electronics Research Laboratory (ERL) for Stanford researchers actively collaborating on any number of research projects. Volkswagen Group's Electronics Research Laboratory (ERL) located in Belmont, California represents the Group's applied research and development initiatives in North America. With a focus on advanced technology, the ERL's mission is to develop innovations for future generations of vehicles with the goal of transferring technologies from many industries into the automotive domain. The ERL was established in August 1998 with three employees and today has grown to become the Volkswagen Group's largest research facility outside of Germany employing approximately 100 engineers, social scientists, researchers, and product designers. Founded in 1955, Volkswagen Group of America, Inc. (VWGoA) is headquartered in Herndon, Virginia. It is a wholly owned subsidiary of Volkswagen AG, one of the world's leading automobile manufacturers and the largest carmaker in Europe. VWGoA operates a manufacturing plant in Chattanooga, Tennessee and houses the U.S. operations of a worldwide family of distinguished and exciting brands including Audi, Bentley, Bugatti, Lamborghini, and Volkswagen, as well as VW Credit, Inc. VWGoA brings vehicles to the U.S. that marry the science of engineering and the art of styling, with the goal of offering attractive, safe, and environmentally sound automobiles that are competitive and set world standards in their respective classes. The company has approximately 5,900 employees in the United States and sells its vehicles through a 950-strong independent dealer network.